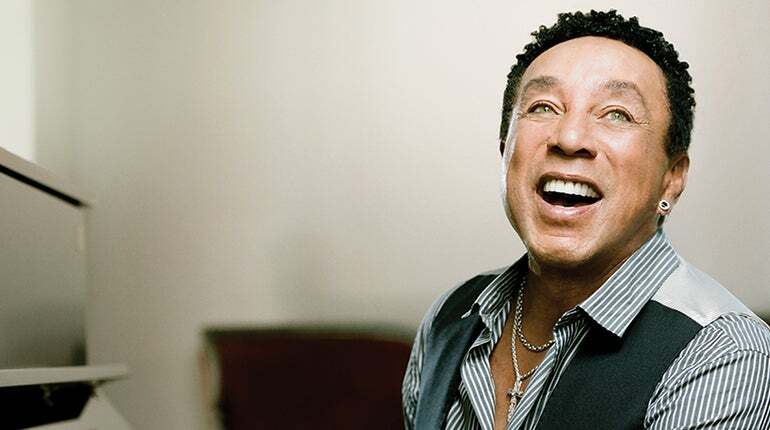 Legendary singer-songwriter, record producer, record executive and co-founder of Motown Records, Smokey Robinson will perform at the Paramount Theatre in Oakland “Up Close and Personal” on Saturday, October 26. With a catalog spanning nearly five decades, Robinson has several hits including “Crusin,” “The Tears Of A Clown,” “Tracks Of My Tears,” “I Second That Emotion” and “You’ve Really Got A Hold On Me,” among others. In 1987, Robinson released One Heartbeat and the singles, "Just to See Her" and "One Heartbeat,” both garnered Top 10 hits. “Just To See Her" won Robinson his first Grammy Award. In the same year, he was inducted as a solo artist to the Rock and Roll Hall of Fame and the UK group ABC released a tribute song, "When Smokey Sings." In recent years, Robinson released the standards album, Timeless Love, Time Flies When You're Having Fun, Now And Then and Smokey & Friends. He released his first ever solo Christmas album, Christmas Everyday in November 2017 as an Amazon exclusive.